LOLLIPOP IS HERE! Forgive me for being so overly-enthusiastic but, ANDROID L IS HERE AND KICKING! Back to the world of sanity, Google has just announced its 5th version of mobile operating system, the favorite of millions of users worldwide. Android 5.0 carries the fancy name of Lollipop as was leaked a few months ago. Thank heavens for that as we certainly didn’t like the Nestle Lion one. However, the users at the end won’t be too worried about name as of the availability of the latest OS on their particular devices. So here we are, carrying all the details you are yearning to get. Time begins of speculating which devices are getting the latest Android L and when exactly is it going to roll out. First in the row comes the charming Nexus devices and of course, the Google Play edition devices. While the timing of the roll out is not confirmed, Google assures that Android 5.0 will arrive on Nexus and Google Play edition devices in the coming weeks. However, the best part is that Google is extending its support of newer and latest operating system builds to the older devices like Nexus 4 and Nexus 10. Both of these devices will get the Android 5.0 update even though both of these are out of the 18-month mandated window which Google has set for software updates. With elder devices like Nexus 4 and Nexus 10, it is certain that the Nexus 5, 7 and all the Google Play edition devices will get the recently released Android 5.0 update. So all the Nexus and GPe device owners, be ready and set to embrace the beauty of Material Design through Android 5.0 L rolling out to your devices in the coming weeks. This “coming weeks” tag is sooner than it might seem as we already saw the reports of Samsung rolling out Android L to its Samsung Galaxy S5 and Samsung Galaxy Note 4 in November. 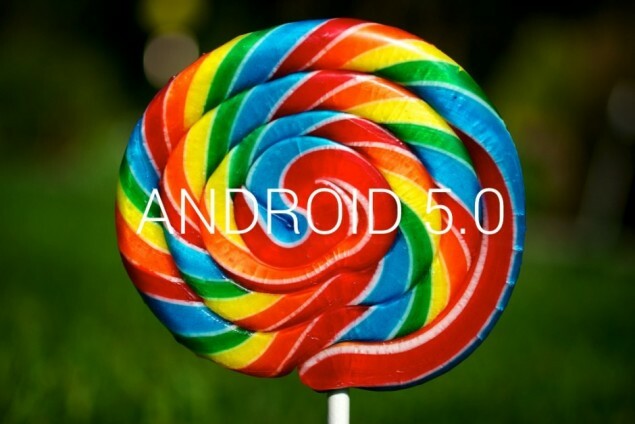 The Nexus and GPe devices are expected to receive the update before Samsung roll-out.